Synopsis: Dr. Duncan discussed the important role that teachers have with students. If teachers, educators, families, etc fail to educate the students, they are in a sense creating a “permanent underclass.” This references the people on the impoverished end of the economic system. Education is the key to preventing this from occurring. Do we as leaders create a “permanent underclass” on our teams? In our companies? What is the “permanent underclass” in Corporate America? 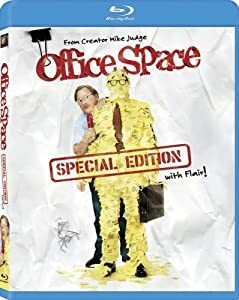 This is when we have someone who is deemed “weak” on our team and instead of helping them, we hide them (I have visions of “Office Space” when they moved Milton Waddams to the basement, not even telling him he was fired.) Instead of assisting them to grow, we pass them on to other groups. This can also be true with families…we all have that uncle that when he shows up, we just bury our head in our hands and hopes he does not embarrass us too bad. It is our responsibility to build people, regardless of their capability. If we deem that someone has the cognitive ability to learn and change, we need to invest in them. We can not pass people along and refuse to build them up. As a leader, we must take everyone and lift them up, some will be lifted higher than others. But the important fact is that they are lifted higher than where they were. Have you been in a situation in which a “permanent underclass” was created? What did you do? Did you help with building these people up?